A paradigm change is occurring, in the course of which human beings are becoming the primary international legal persons. In numerous areas of public international law, substantive rights and obligations of individuals arguably flow directly from international law. 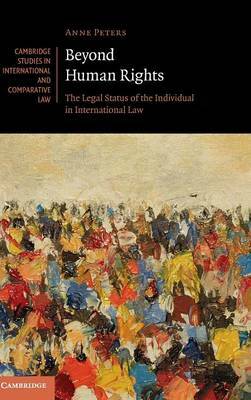 The novel legal status of humans in international law is now captured with a concept borrowed from constitutional doctrine: international rights of the person, as opposed to international law protecting persons. Combining doctrinal analysis with current practice, this book is the most comprehensive contemporary analysis of the legal status of the individual. Beyond Human Rights, previously published in German and now revised by the author in this English edition, not only deals with the individual in international humanitarian law, international criminal law and international investment law, but it also covers fields such as consular law, environmental law, protection of individuals against acts of violence and natural disasters, refugee law and labour law.